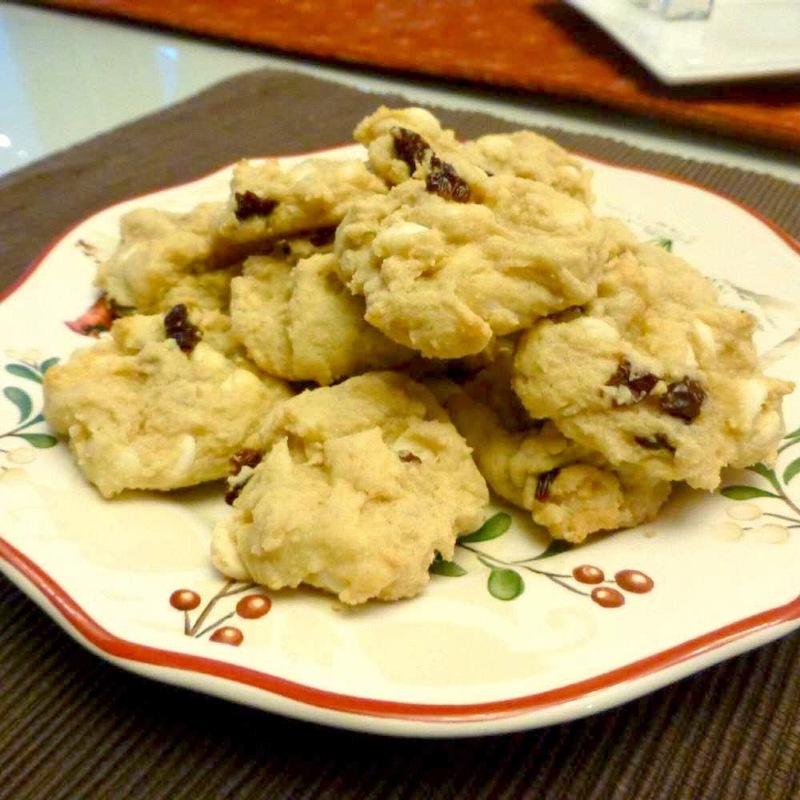 We tweaked a recipe we had for soft chocolate chip cookies, cutting some of the sugar and substituting white chocolate chips for milk chocolate, then adding dried cherries. Hello, cookie goodness. Here’s the recipe…let us know what you think! 2. Add eggs and vanilla to sugar/butter mixture and mix well. 8. Bake for 10 minutes. When they turn a light golden brown, they’re ready!